STRUMIS LTD announce the introduction of yet more industry leading functionality for STRUMIS into the SDS/2 steel detailing system. In addition to exporting models and associated data directly from SDS/2, users of the detailing system (from Design Data) can now enquire upon STRUMIS' steel fabrication system for project information directly from within the SDS/2 system itself. This provides SDS/2 users with critical STRUMIS data, without having to physically contact the STRUMIS user. The process can also be easily setup to run automatically at periodic intervals, meaning even less hassle for the user. This seamless data exchange can potentially provide SDS/2 users with substantial cost and time savings over the course of a project. 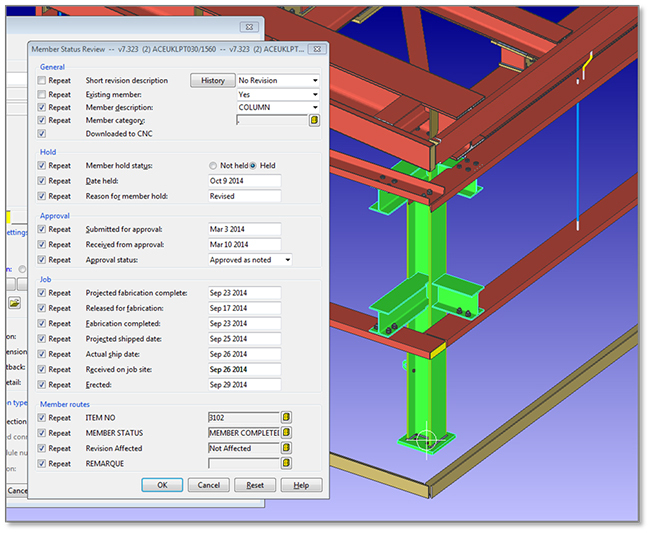 SDS/2 users have the ability to export models (complete with all attribute data, drawings and CAM data) directly into STRUMIS via STRUMIS LTD’s impressive BIMReview system. This means that all SDS/2 data (including a copy of the model itself) can be referenced and used from within the STRUMIS system. STRUMIS LTD is committed to ensuring that STRUMIS remains the leading steel M.I.S system on the market, continually adding increased functionality such as for the SDS/2 detailing system (and also a Tekla structures equivalent) further reinforces that position.